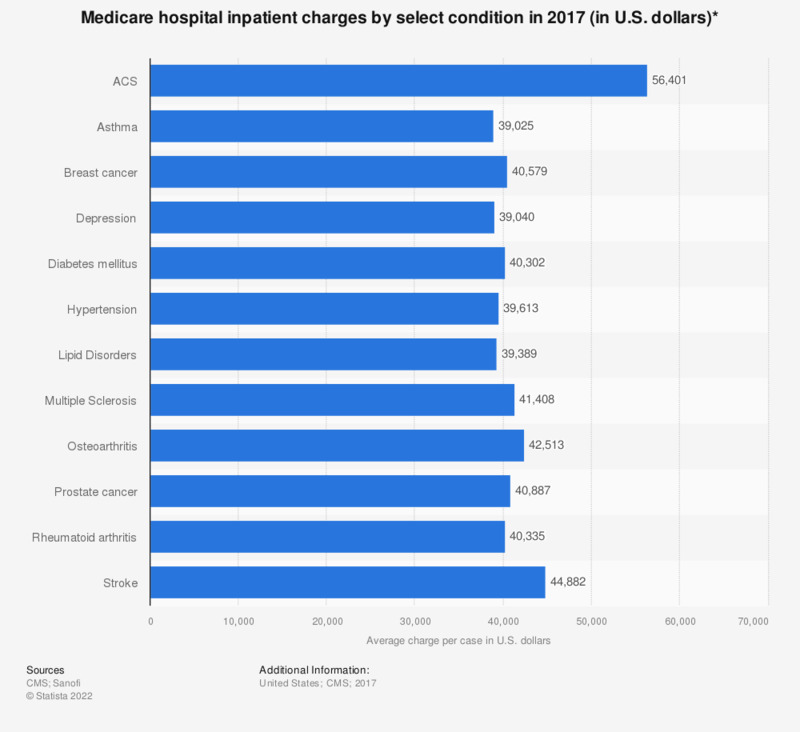 This statistic describes the average hospital inpatient charges per Medicare case in the United States in 2016, by condition. In that year, hospital inpatients with hypertension were charged 36,676 U.S. dollars per Medicare case. Medicare currently provides coverage for the largest portion of inpatient cases. * Charge data are per-case averages for inpatients with a particular diagnosis of interest. Charges may be for treatment related to other diagnoses. Data reflect the total charges billed by the hospital for the entire episode of care, and may include accommodation, pharmacy, laboratory, radiology, and other charges not billed by the physician. Data do not necessarily indicate final amounts paid.